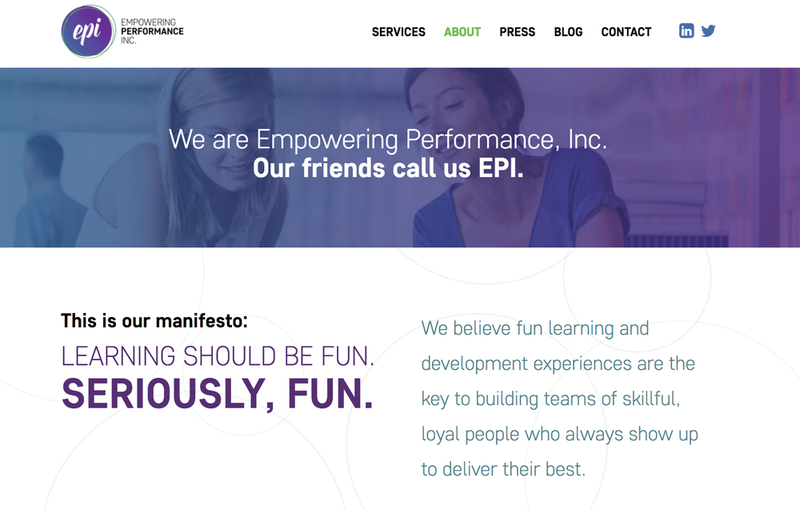 I worked in-house for EPI as an instructional designer a few years back. When the CEO was ready for some re-branding and a new website, we collaborated again! We rebuilt their identity, then kicked off a two-year contract upgrading everything from their website to pitch decks, social media strategy, stay-in-touch programs and other marketing collateral. EPI (Empowering Performance, Inc.) is a woman-owned, woman-led team of eLearning and coaching professionals. Together, they create and champion fun learning experiences that melt resistance, drive performance, and ignite innovation inside the workplace.